The Fort Lauderdale law office of Sandra Bonfiglio, P.A. assists clients in all types of child custody and support matters, including child support modifications. Depending on your needs, we can help you obtain a support reduction or make a request for additional support. We also handle domestication of foreign orders and other jurisdictional issues. Contact our experienced Fort Lauderdale child support modification attorneys today. Your current child support order will not end within six months from when you make your request. Your support order has not been changed or reviewed in the last three years. You can show a large change in your life, for example, an increase or decrease in income or a change in the child’s needs, such as the child becomes disabled. You need to add or remove a child from the order. You need to extend the time support needs to be paid, for example, if your child is still in high school after turning 18. You need to add or remove medical support from the order. You can also ask a court to reduce, increase, suspend or stop child support payments if there has been a “substantial change” in your circumstances, such as job loss, a salary decrease, dramatic increase in expenses, a prolonged illness, your child becomes an adult, or your time-sharing or custody arrangement has changed. Under new child support laws, if your child is with you overnight 20% or more of the time, you may qualify for reduced child support. If you come to us with concerns about a child support order, we will look at your child’s needs and both parents’ income to accurately determine how a child support modification may apply in your situation. On behalf of many clients, our firm has achieved support arrangements that better reflect the financial and family dynamics of the parties involved. Our firm has helped parents modify child support orders in cases where the controlling order was entered in a state other than Florida, and we have facilitated support modifications in cases where a child or parent moved to a another state or country. We understand the application of complicated jurisdictional laws, such as the Uniform Interstate Family Support Act (UIFSA), and can ably assist clients in parent and child relocation and enforcement matters. 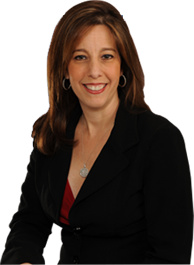 If you need help to modify a child support order in Florida, please contact Sandra Bonfiglio, P.A. and schedule a consultation. We can help you determine whether you are eligible for a child support modification, and explore every option to achieve a support arrangement that accommodates your child’s needs and your income.